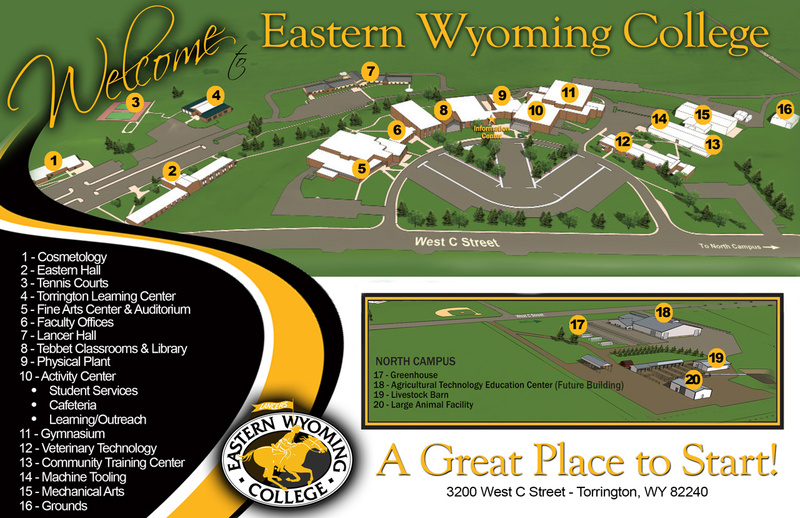 Board of Trustees - Eastern Wyoming College - Eastern Wyoming College - It's A Great Decision! Eastern Wyoming College is a public institution established under the provisions of the State Legislature’s 1951 Community College Act for the purpose of providing instruction in the first two years of college work, and for offering related services to the people of Eastern Wyoming. The College is a tax-supported, co-educational institution under the control of an elected board, the members of which are residents of the College District. The College is operated by the Eastern Wyoming Community College District. The Eastern Wyoming College Board consists of seven members elected to four year terms (beginning with the general election in 1988), by the eligible voters within the College District. The terms are to be determined by the Board of Trustees, with never more than a simple majority being elected at one time. Regular meetings of the Board are held on the second Tuesday of each month. Special meetings are called by the President of the Board to conduct business as required.